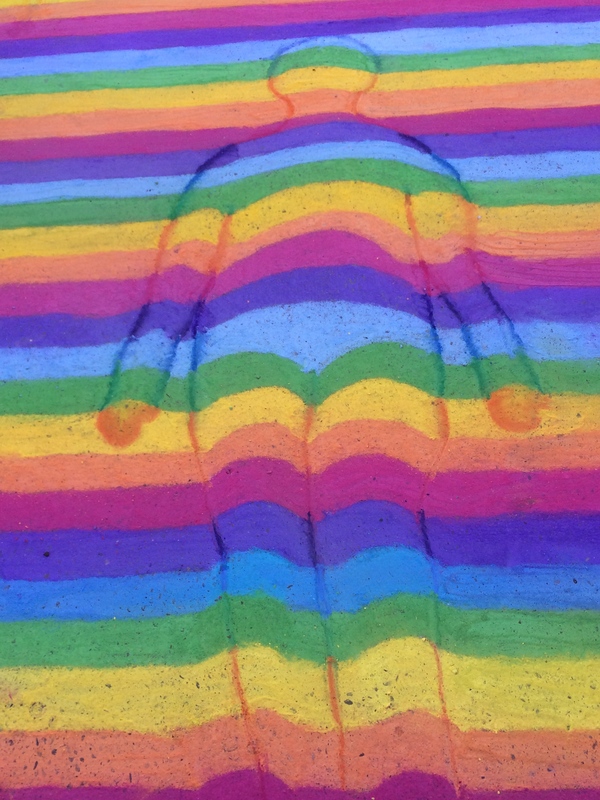 Sidewalk Magic: Dogwood Arts Chalk Walk 2015 | Oh, the Places We See . . .
← It IS easy being green in coastal South Carolina! 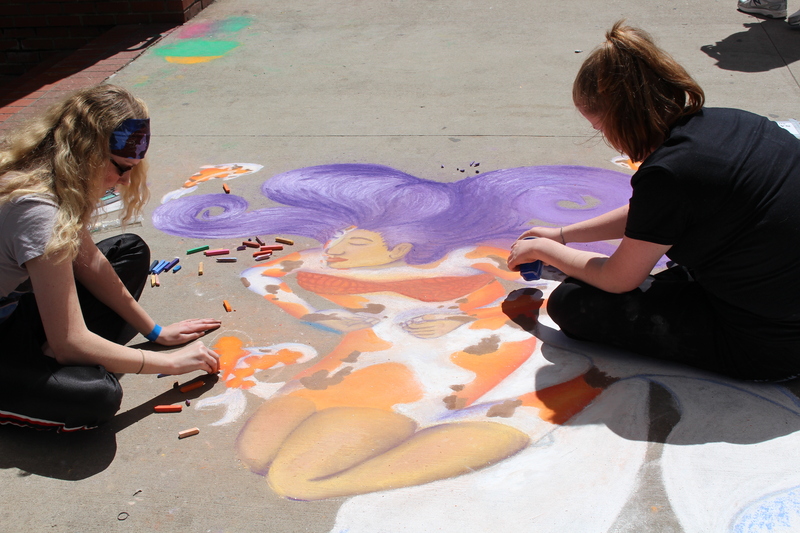 Jessie Langley works on her entry for Chalk Walk 2015. Winner: Second Place, College Single Artist. 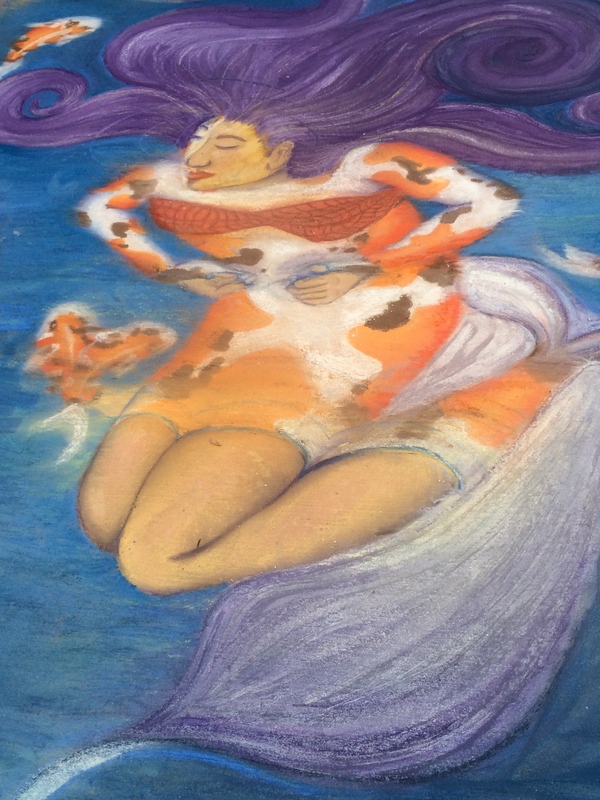 Because so many people look forward to the Dogwood Arts Chalk Walk each year, we’re republishing this post featuring some of the amazing art from Chalk Walk 2015. The 2017 event will be held at Market Square Knoxville on Saturday, April 1 — all day! 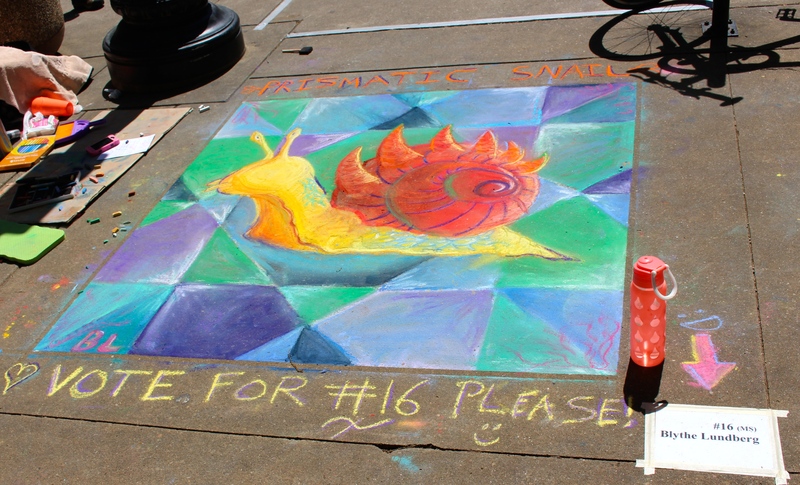 For the seventh year in a row, artists (professional, novice, and student) turned ordinary sidewalks in Knoxville’s Market Square into magical canvases for Dogwood Arts Chalk Walk 2015. Arriving mid-morning gets you a view of artists at work. So you may need another visit after lunch to see finished art. Here’s a little of both. 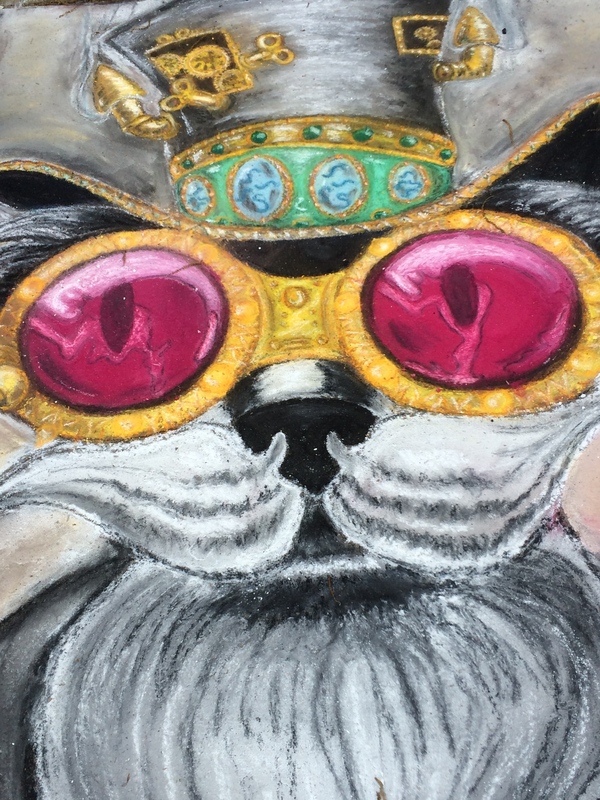 We began by talking with Michael Gunnels sketching this sassy, bug-eyed cat. 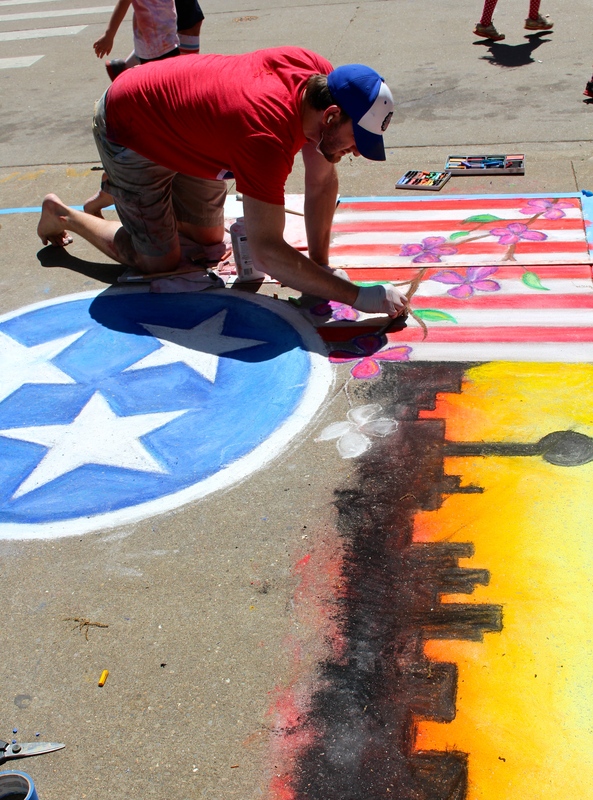 And then watched Curtis Glover capture the Knoxville skyline and Tennessee logo in chalk. Some artists campaigned for votes. Like Blythe Lundberg. And why not? Cute snail on a quilt-pattern background — all finished by lunchtime. No small feat, we thought. Snail design with blue background by Blythe Lundgren. Vote for #16! It didn’t escape us that young, young people were hunched over these drawings, too. Like the team from Sequoyah Elementary slamming colorful gumballs into their orange machine. And their reward? First Place in Elementary division. 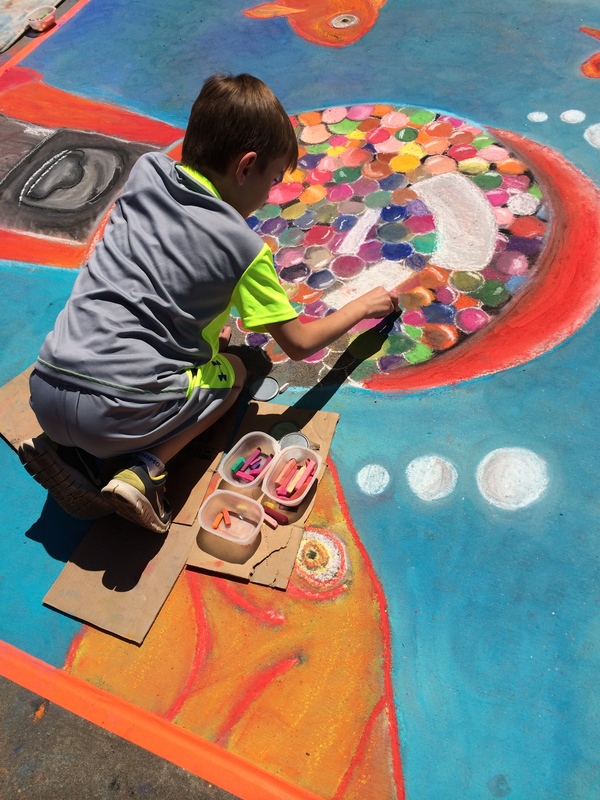 Balancing on cardboard squares, this student from Sequoyah Elementary adds color to their school’s Chalk Walk entry. 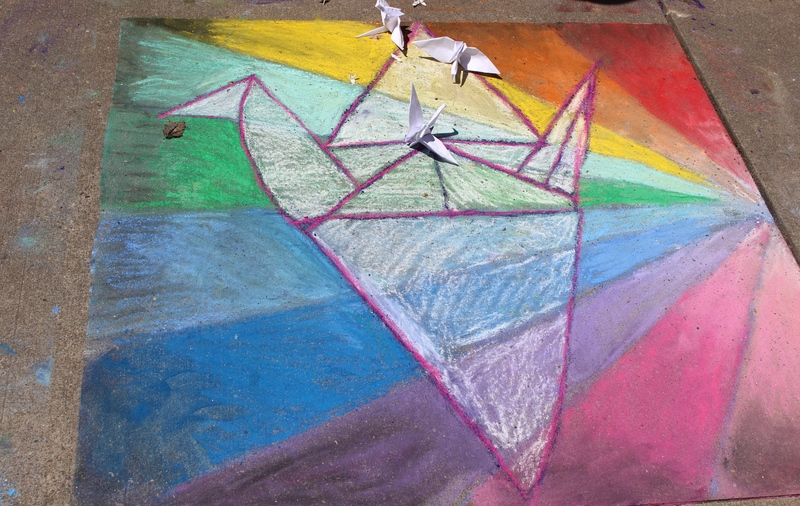 This sweet entry done by kids from the Montessori School had something extra: origami birds laid on top. When we finally looked up, we saw folks on the square in the middle of a party of sorts. 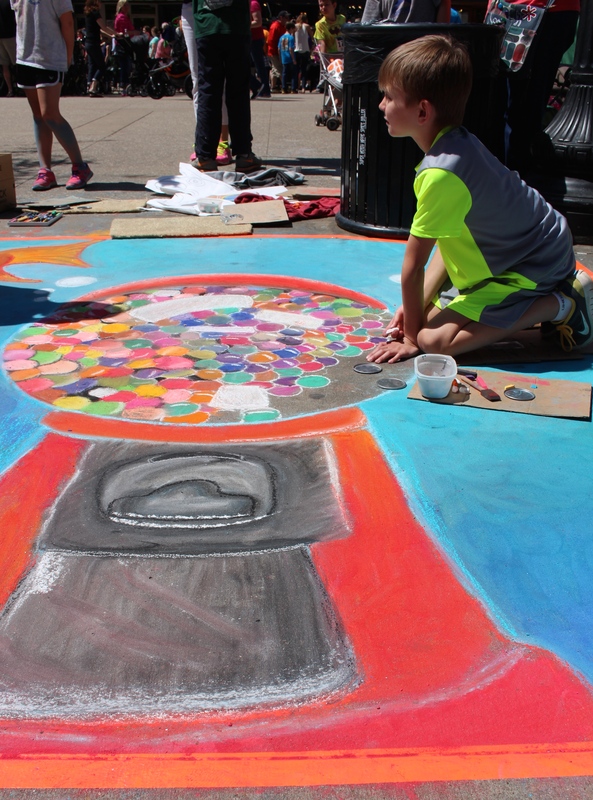 So much going on — musicians, magicians, and kids sketching chalk drawings in their own area reserved for kid spontaneity. Reserved for children — Doodle to your heart’s content! Even furry friends got into the action. 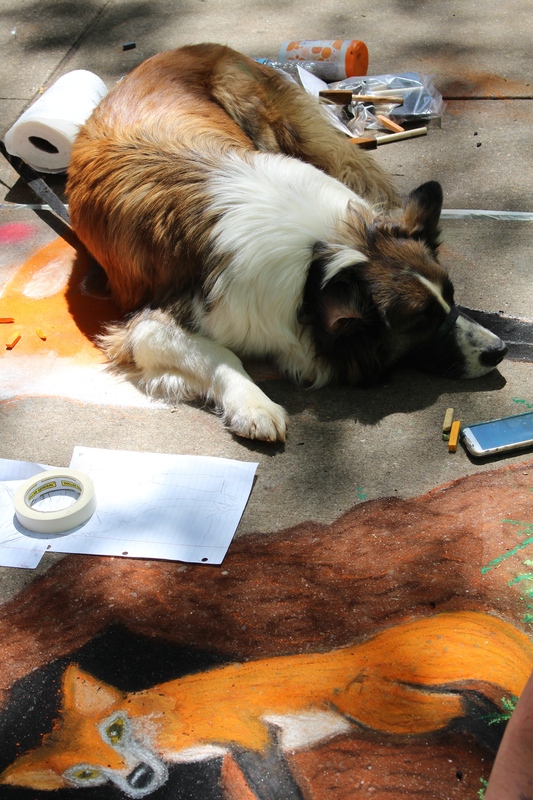 Like this dog belonging to a hard-working artist who kept shushing the dog away from the art only to find the pet smack dab in the middle of the chalk — again. But I like it here! Drawing the most attention, and for good reason, was Shane Sandberg‘s astronaut. 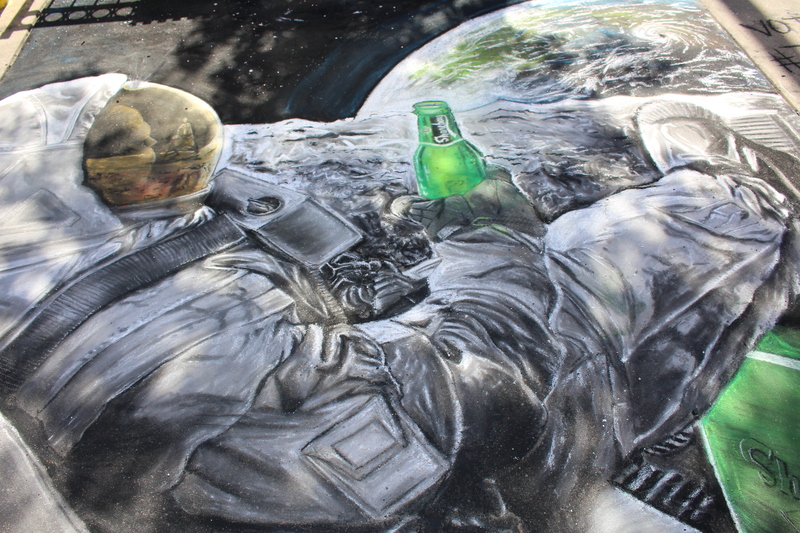 Winning Best of Show for detail and a sense of humor (Space guy’s holding a drink called a Shaneberg), Sandberg’s drawing took chalk art to a new level. Literally. 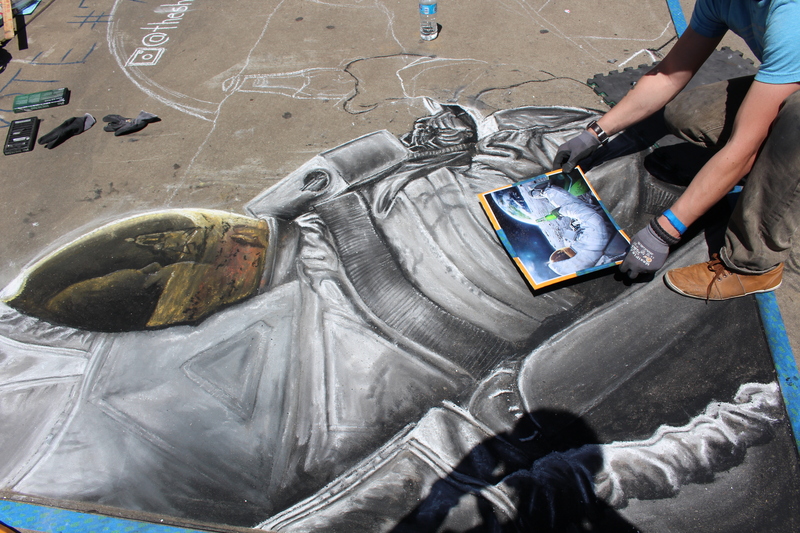 Working from a picture, Shane Sandberg adds exquisite detail to his astronaut chalk drawing. Jessie Steinberg adding many colors to her friendly dog painting. Painting into the afternoon, Jessie Steinberg adds more detail to her First Place painting. 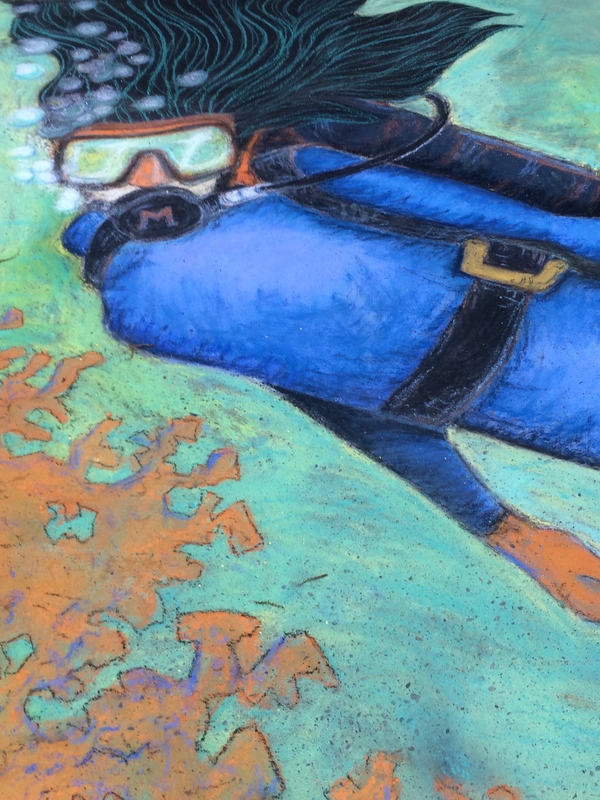 UT Art Education majors creating a watery picture for Chalk Walk 2015. After our lunch, we stumbled (literally, since there were so many people in close quarters) upon other notables that struck our fancy. Diver by the McQuilkin Family. Winner: Second Place, Family Division. 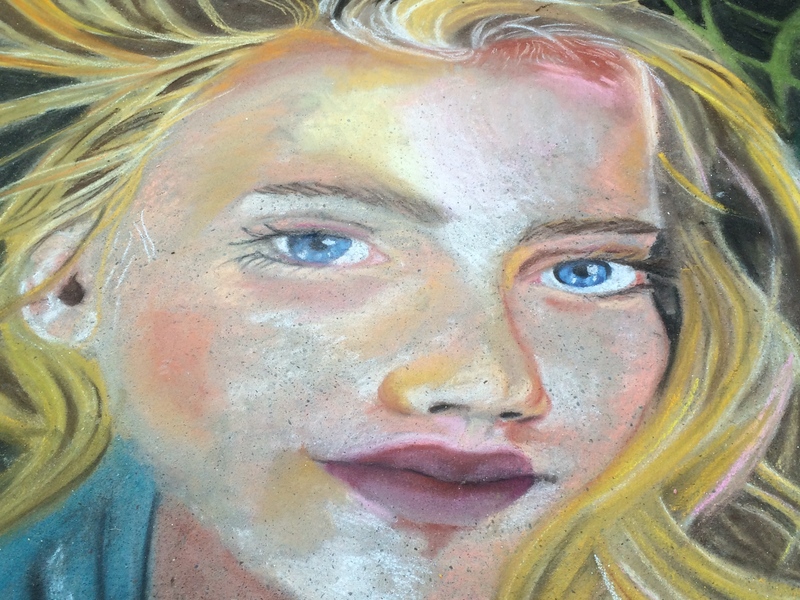 Our vote for best detail is this portrait by Sarah and Abigail Gibson. Great work, don’t you think? We’re still wondering how artists 1) decide what to draw, 2) select colors and chalks, and 3) stay in the bent-over position for hours. Mark this on your calendar for 2016. 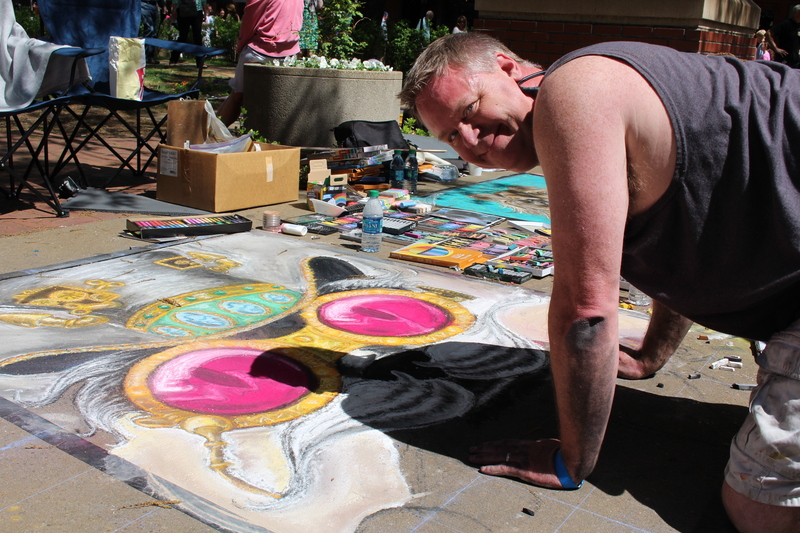 It’s just one of many artsy events of the Dogwood Arts Festival. See you in Knoxville next year? 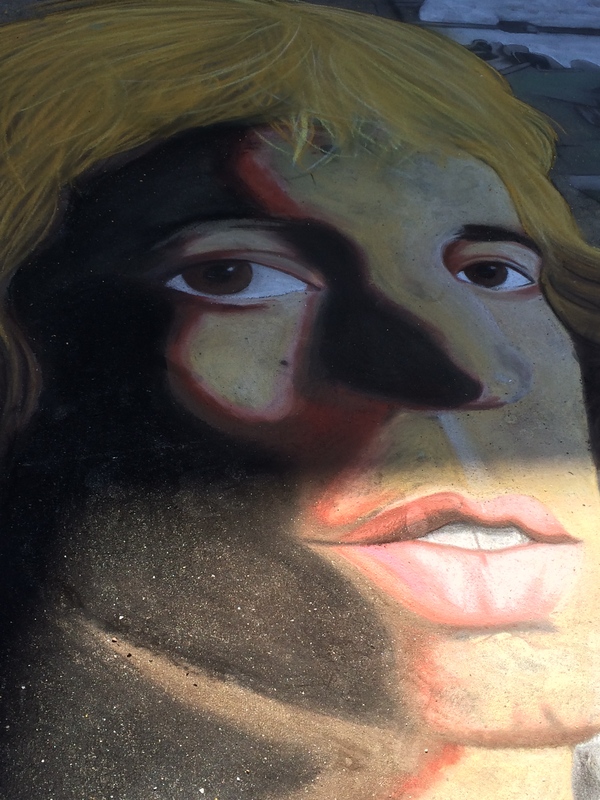 This entry was posted in Tennessee and tagged Avanti Savoia, chalk drawings, Chalk Walk 2015, Cody Swaggerty, Curtis Glover, Dogwood Arts, Dogwood Arts Festival 2015, Jessie Steinberg, Lauryn Darby, Michael Gunnels, Shane Sandberg. Bookmark the permalink. This is amazing. Wish we´d have something similar here, in our city too… Thank you for sharing! And thank you for taking a look. We love this event every April. 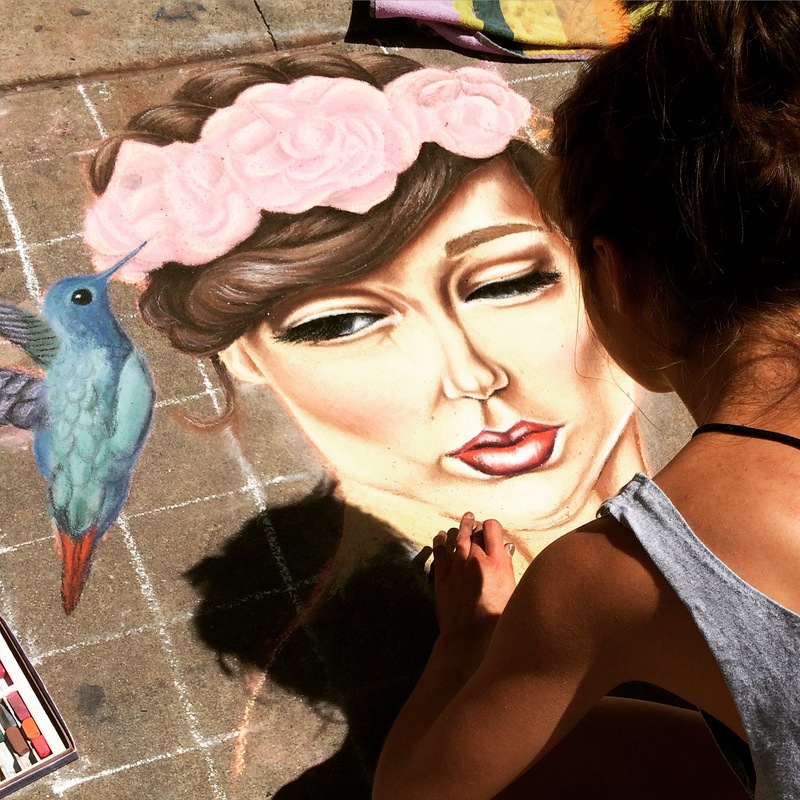 Just when we thought we’d seen it all, artists of all ages surprise us with new creations. It’s a magical day — and elusive. One big rain can take it all away in a moment! It´s the ephemeral mark that makes it so magical, exactly! I definitely love this venturous potential, plus the energy of pushing the imaginative power. Great one! The astronaut and friendly dog are remarkable!! I totally agree — can’t believe the design work and then the execution. All that bending over to create these panels. Thanks for taking a look! You’re so right. We’ve posted it a couple of times. But it’s kinda like Burning Man. I love looking at old events. I’m not so good at remembering anyway, so the refresher does me good! Hope all is well in Oregon this time of year! We think alike but not surprised. These are crowd faves, too. 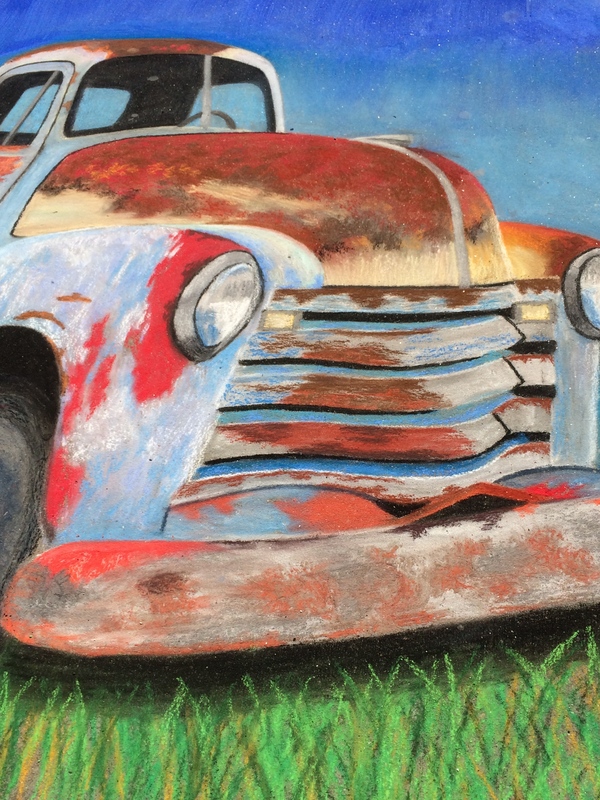 That old truck had a great deal of shading and variation in color — a real standout. Thanks for looking and commenting. Much appreciated. Thanks so much, Judy. We really like this event, too! In fact, we reschedule everything to be sure we get there. So much creativity and fun! We have encountered these Chalk Walks in a few places where we have traveled. Such creativity and color! So true, LuAnn. First, we don’t know how anyone decides on a subject. And then, how in the world they get all that shading in so many of the pictures. It’s pretty fun to watch! Thanks, Sue! And those colors aren’t just one-dimensional for the most part. The shading brings all of these to life. Glad you liked it! Thanks, Cindy. 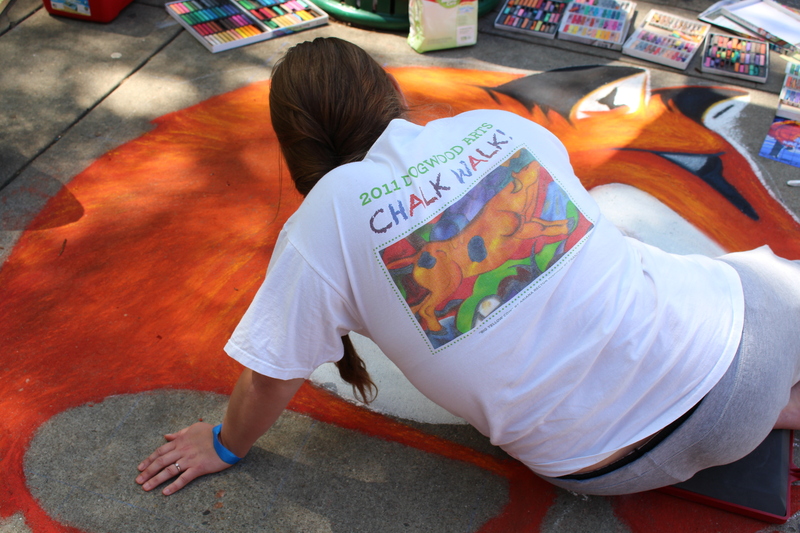 One of our favorite events of the Dogwood Arts Festival. Thanks, Amy. 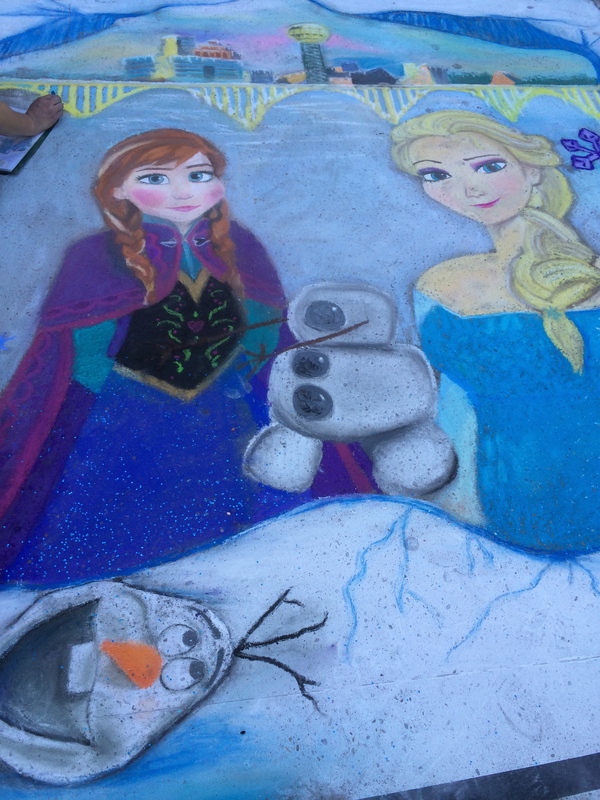 It’s hard to believe this is chalk, right?